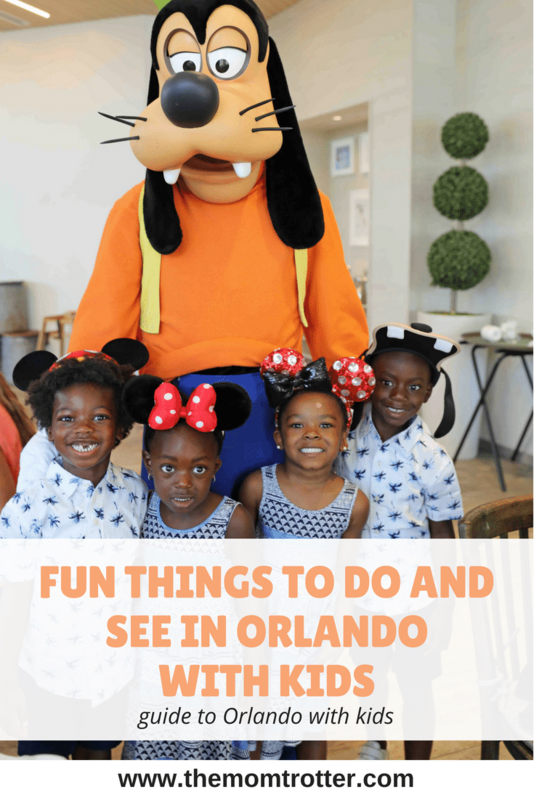 When we got $14 ticket to Orlando, I immediately started my search on fun things to do and see in Orlando with kids. I was able to find a lot of things to do in Orlando with kids besides theme parks which was nice. 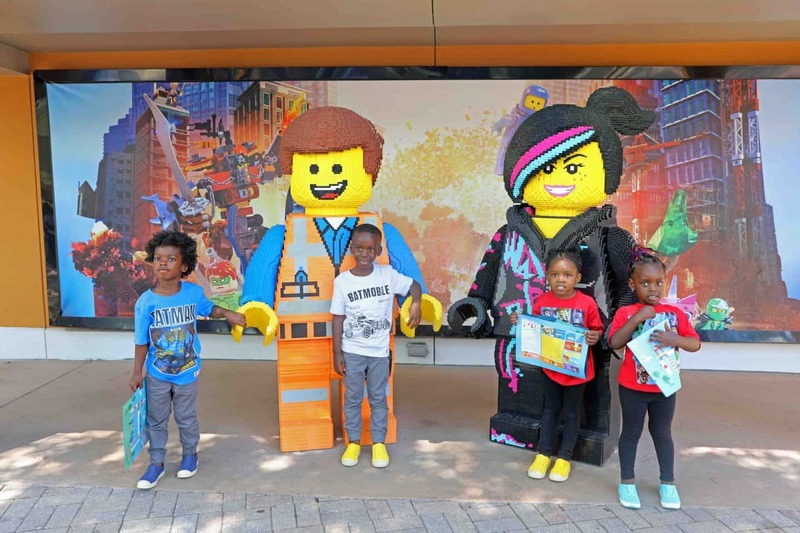 We planned to visit Legoland and Disney World, but I wanted us to be able to explore other things in the city as well. We traveled to Orlando in April and spent five full days between Tampa and Orlando. It was warm and beautiful, and the weather was in the high 70’s and low 80’s. Orlando has great weather all year round so I don’t think you can go wrong with picking the right time to visit. We flew from Las Vegas to Tampa on Frontier Airlines for $14 on a red eye flight. YES, I said it, $14 each. A week before our trip, Frontier Airlines had a sale that I couldn’t pass up on. As you know I am keen on budget travel, so we only travel when there is a sale or the fare is really cheap. As soon as I saw the deal, I quickly got 6 tickets, and paid $85.20 for it, including taxes. We live in the Los Angeles area, so we had to drive to Las Vegas and that took us about 3.5hrs. I added everything up and it was still so much cheaper than flying from Los Angeles. 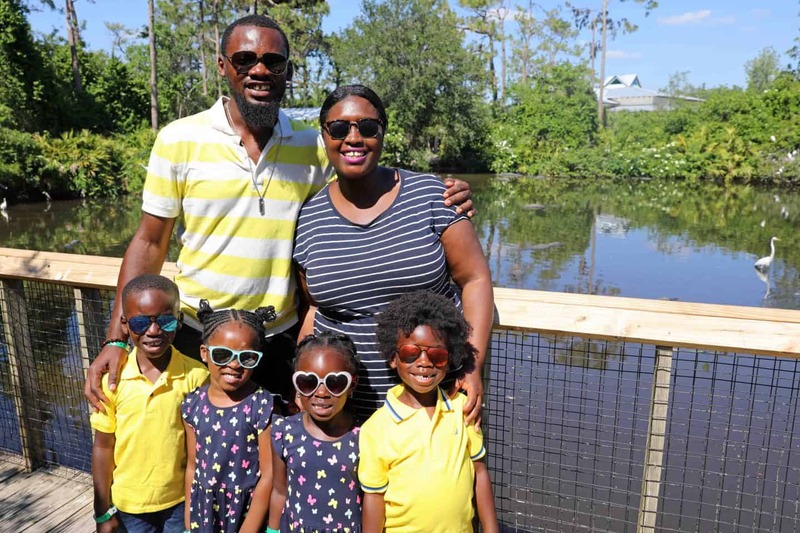 I was not only excited about taking my son to Orlando, but I was also excited about taking my nieces and nephews as well. We rented a Mom Van from National Car Rental at the Tampa Airport. My husband did not want to drive it, but do you know how much easier it made getting the kids in and out of the car. They are at the age where they can buckle themselves in their car seats, Yesssss!!! I had 2 free rental days which I used towards the car rental and my total came up to $147 for 5 days total. I highly recommend picking one rental company and staying loyal to them in order to be able to get perks such as free rental days. It took me a while to get 2 free rental days, and that’s okay because who doesn’t love free? Watch video below to see the car we rented and how we made it work with 4 kids. Okay, so let me say this, this is one the cutest and kid friendliest hotels I have ever stayed at. We planned to spend a Legoland, so I figured why not stay there one night so that we’d be close to the park; FYI, best decisions ever!!! 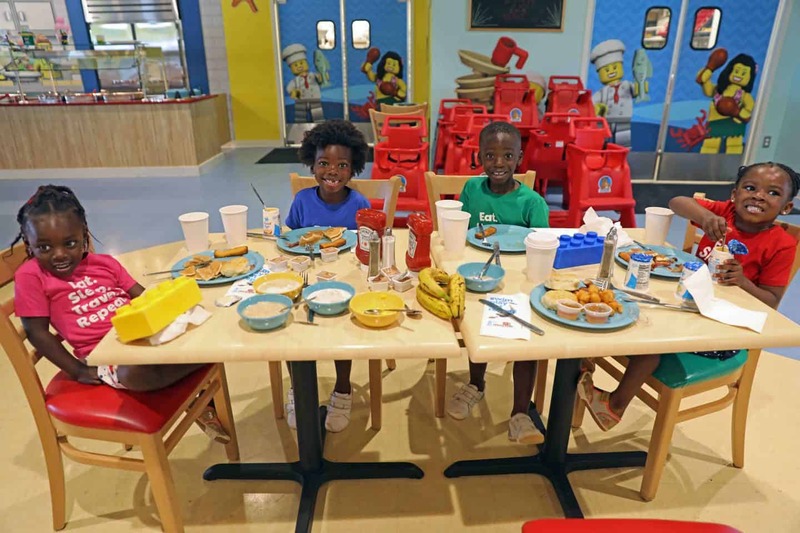 Legoland has two hotels, the main Legoland Hotel which is steps away from the park and the Legoland Beach Retreat which is across the street, but a short drive away. The Legoland Beach Retreat was half the price so it was a no brainer which one I picked. I also found it on Groupon for a really got rate and couldn’t pass it up. 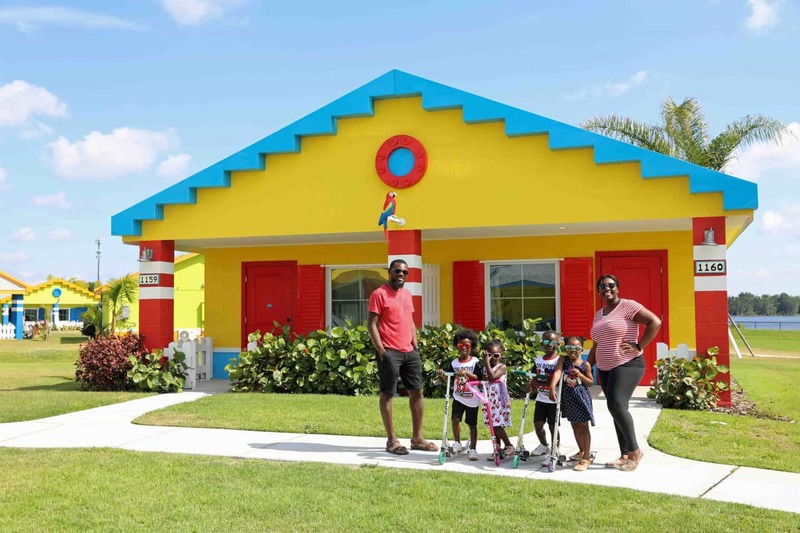 Click HERE to reach my review on the Legoland Beach Retreat. We spent 3 nights at this resort and loved it so much. Again, when traveling with kids, finding the right resort can make any trip so much more fun. I was looking for a hotel with a lazy river, or water slide and was glad to find this one. We stayed in a 3 bedroom villa which was basically like an apartment. This resort was ideal because we had all the amenities we needed, as well as kid friendly things to do at the resort. 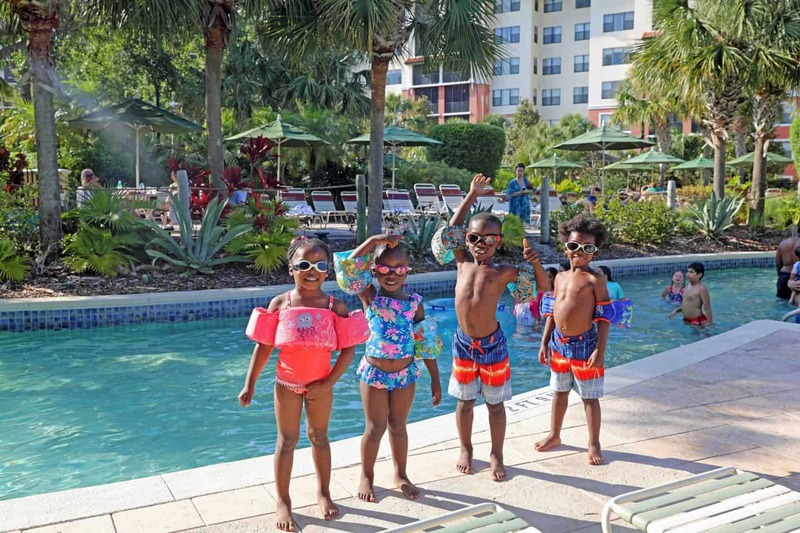 Click HERE to read all about our stay at the Holiday Inn Club Vacations at Orange Lake Resort. As soon as our flight landed, we grabbed breakfast at Starbucks and went to Legoland. The kids were tired so we let them sleep in the car for a bit and when we woke them up they were so excited. We have annual Legoland passes and made sure to purchase the pass that gave us access to the Florida park as well. 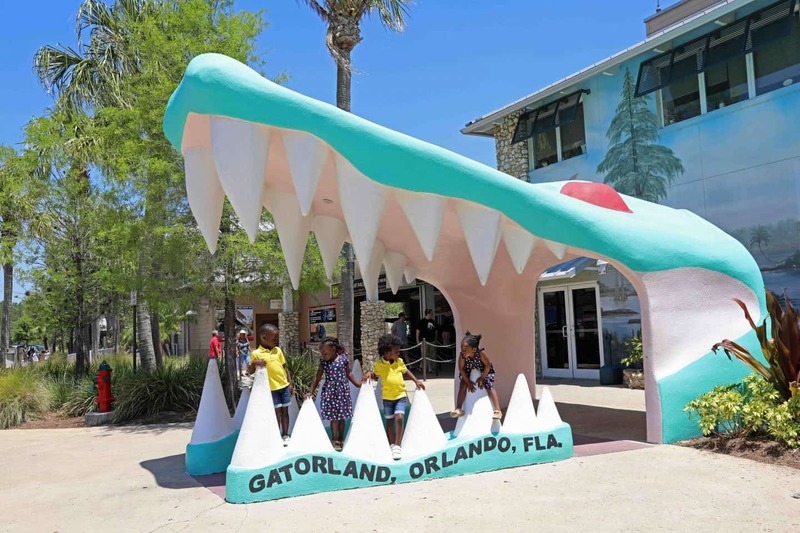 To be honest, I wasn’t even sure when I was going to visit the Florida park, however I knew that if I did, it would be so much cheaper in the long run. If you plan to visit Legoland more than once, I highly suggest getting an annual pass. You can also find a good deal at Costco. Last year Costco was selling and annual membership to Legoland for just $79, now that’s a steal. Visiting the park with all four kids was great and fun for them, but it turned out to be an issue on rides that needed an adult. With 4 kids under 48in, lots of the rides needed and adult per child and we had to skip them unfortunately. This was our first time at Legoland with all 4 kids so it was definitely a lesson learned. However, they had a great time on the rides that they were able on get on y themselves. We went during a week day so it wasn’t crowded, Yay! I did so much research on Disney world prior to our trip. If you’ve never been to Disney world, let me just say this, it is HUGE! We have been to Disney Paris twice and Tokyo Disney and Disney world does not compare. I wasn’t ready. We had just one day at the park and I was torn between Magic Kingdom and Animal Kingdom, but eventually decided on Animal Kingdom. The kids loved the animals and the music and the dancing and all. 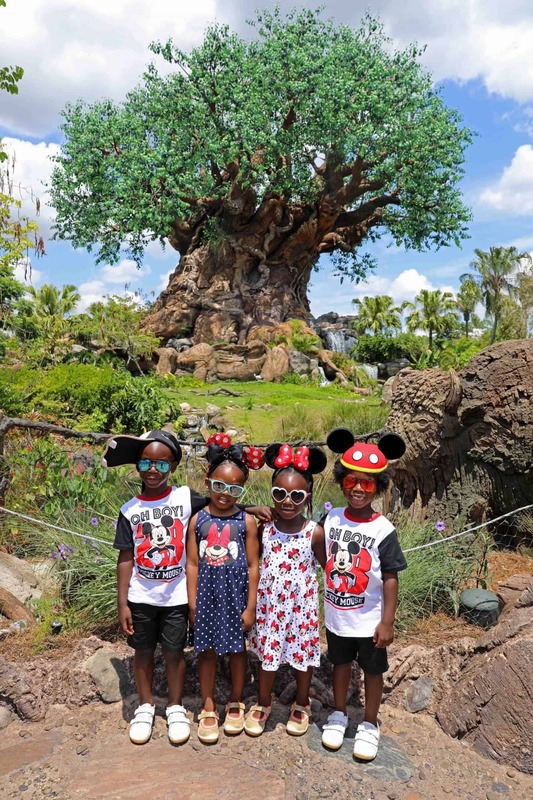 Click HERE to read my post on about our day at “How To Visit Disney’s Animal Kingdom In One Day“. This is a hidden gem in Orlando. When I looked it up, I was like hhmm, the kids love alligators, so hey why not. 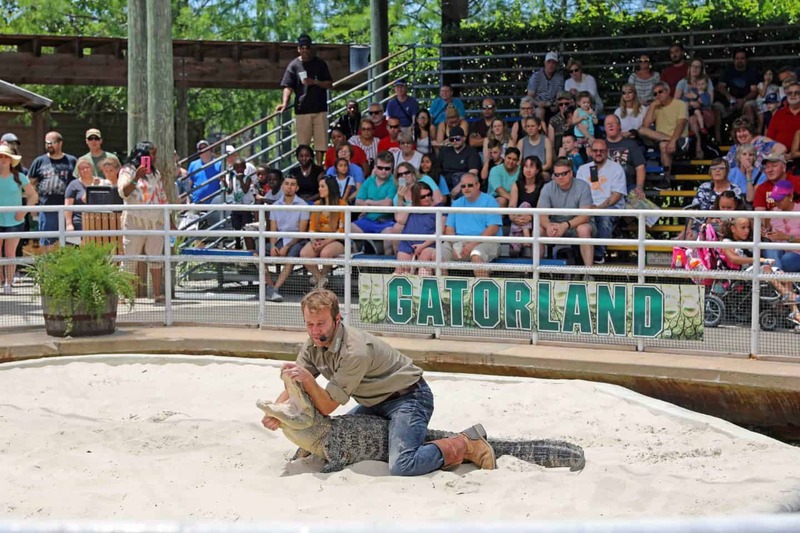 Plus, where else can you find a place like Gatorland if not in Florida. We went here thinking that we would be there for an hour or two but ended up spending the whole day there. 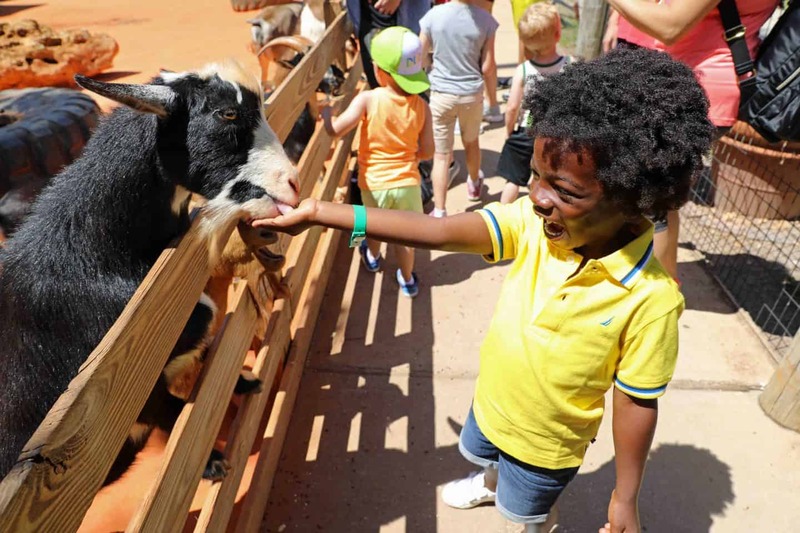 There was so much to do there to keep the kids busy for a while, animal encounters, feeding the alligators and an alligator show. Your family will love this place for sure, so put it on your list. 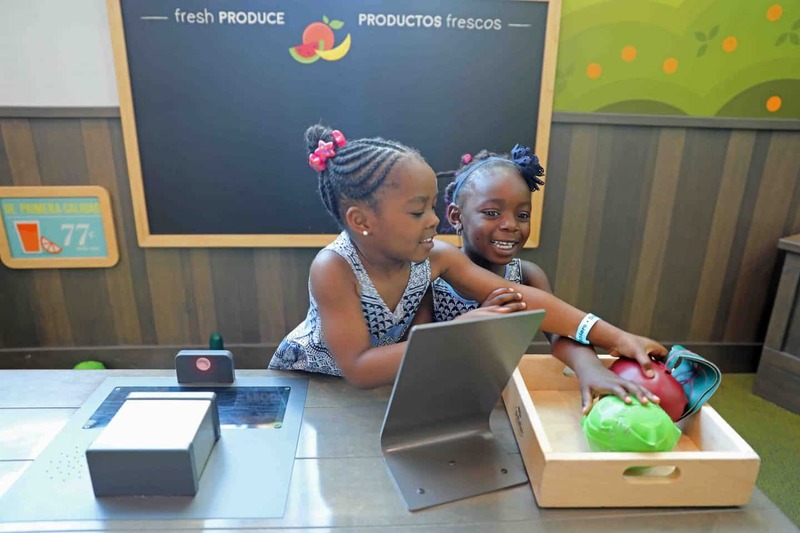 As much as we love to have fun when we travel, including an educational aspect is very important. The kids learn from everything that we do, but I feel that children’s museums and science centers take it up a notch. 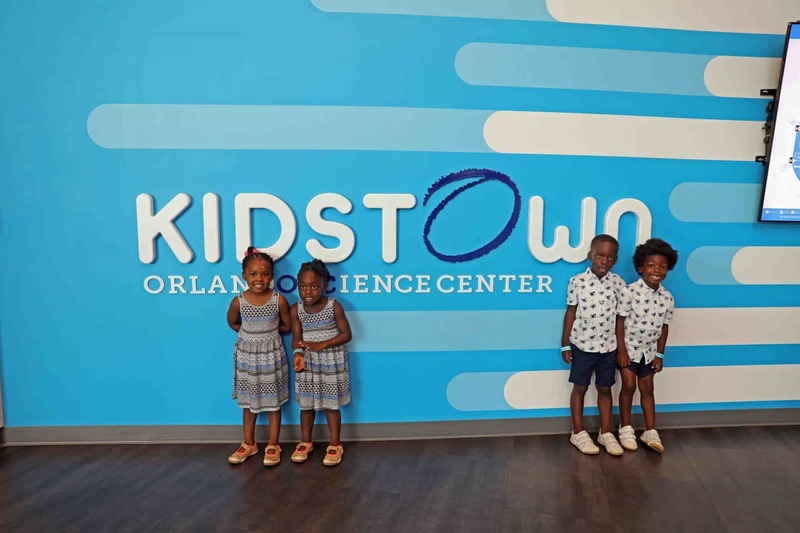 Kidstown at the Orlando Science Center was so much fun. Plan to spend most of your day here because there is so much to do. The kids did not want to leave and we had to drag them out. So many exhibit’s and so many learning opportunities for them. Who doesn’t love Crayola crayons? 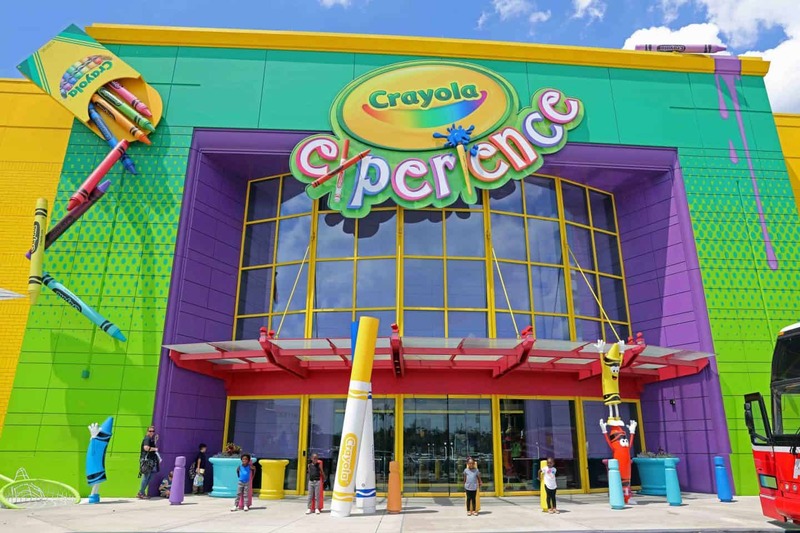 As soon as you walk into Craxxxx you can smell freshly made crayons, and yes they do make crayons here. This is also like a children’s museum, but highly based on art work. 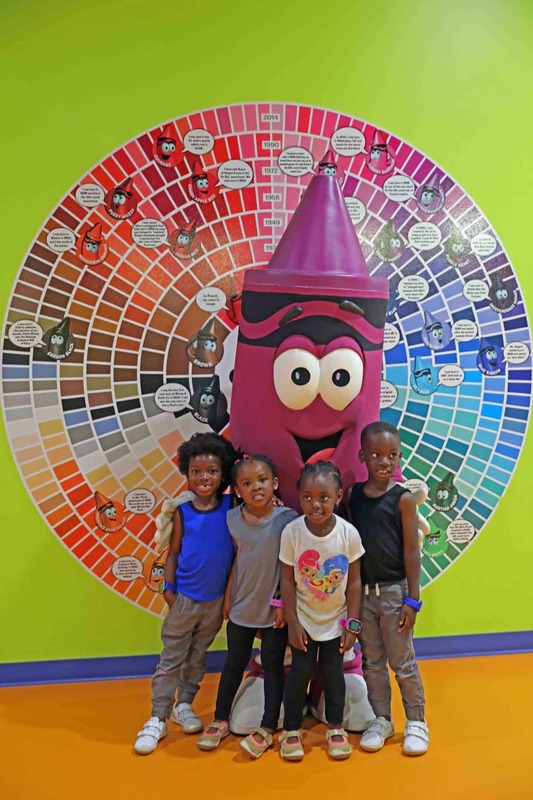 The kids were able to learn about how crayons are made and packaged. They have several art centers where you can color, wrap your own crayon and more. 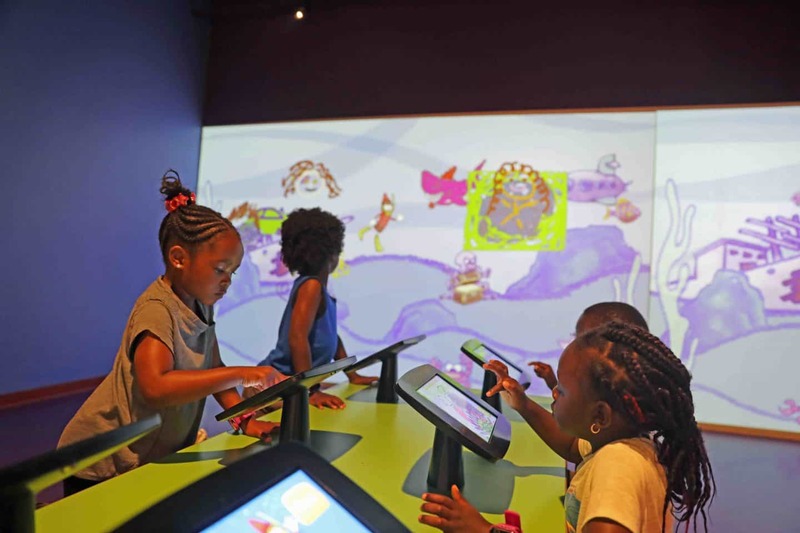 The kids favorite was the station were the kids could make their drawing come to life, basically from a tablet to big screen. They spent a lot of time at this one. 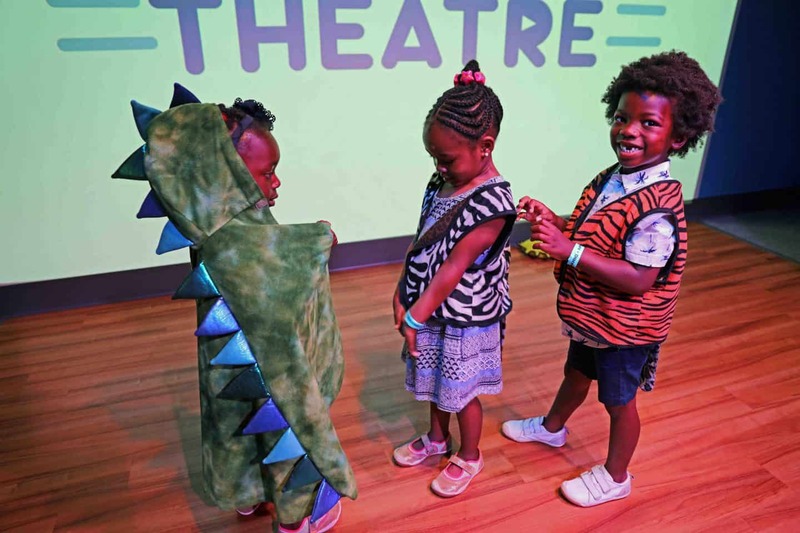 When we visited Disnyeworld’s Animal Kingdom, the kids didn’t get a chance to meet their favorite characters. 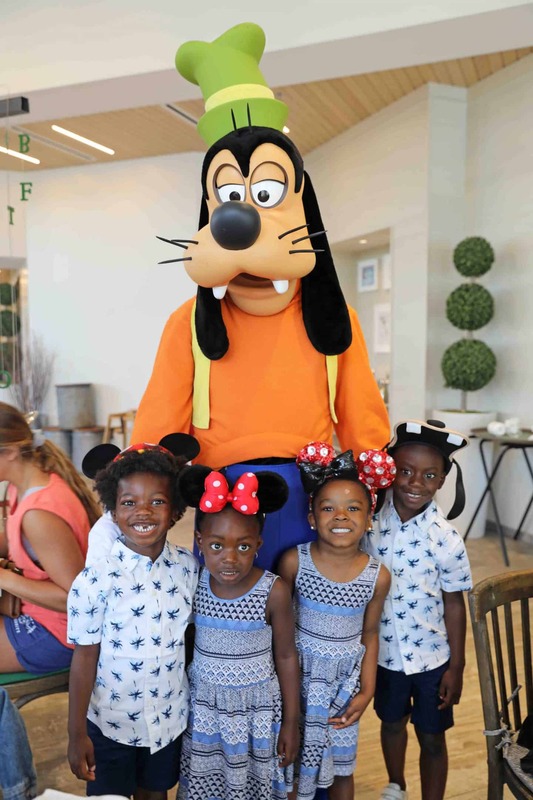 For that reason, I wanted to make sure the kids could attend a character meal, however I couldn’t make a reservation at Disneyworld because there wasn’t any time slot available. Disneyworld character dinning requires a lot of pre-planning. I was happy to find out about character breakfast at Hilton Lake Buena Vista Orlando. I was even more excited to find out that advance reservation wasn’t required, so that’s where we spent our Sunday morning. Lately we have made it a point to travel with a tripod in order to ensure that we can all be in our photos. You can’t always trust someone to take a good photo of you with your Canon Mark 5D Mark IV, so in order for us to get the photos we want, a tripod is necessary. 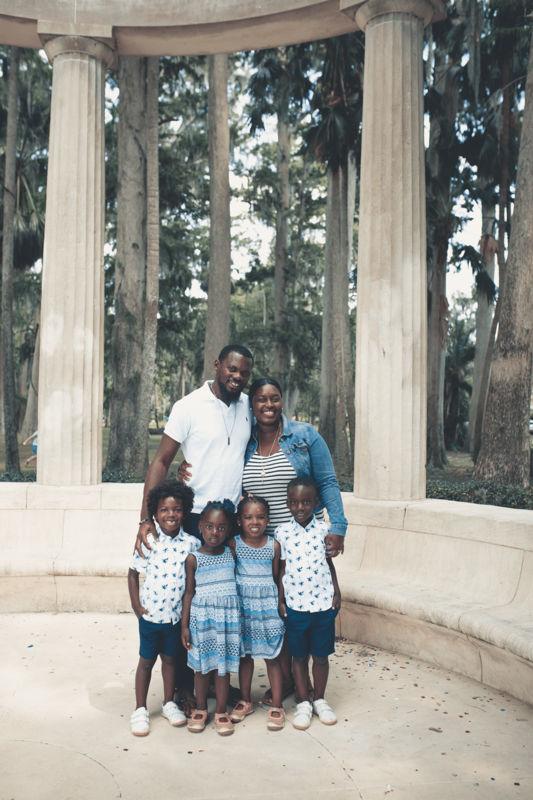 However, this time I didn’t want to be behind the camera, I wanted someone to capture a few photos of us and the kids. I was able to find a decent priced photographer on Instagram by using the hashtag #orlandophotographer. I loved all the photos she took of us. Click to read my post on “5 Reasons To Hire A Professional Photographer On Vacation” as well as to see all our photos. We are foodies, and don’t fancy chain restaurant’s so we had a really hard time finding good food in Orlando. We couldn’t find a decent breakfast place so we stopped at Starbucks for breakfast in the morning. I’d rather have Starbucks than eat crappy food. 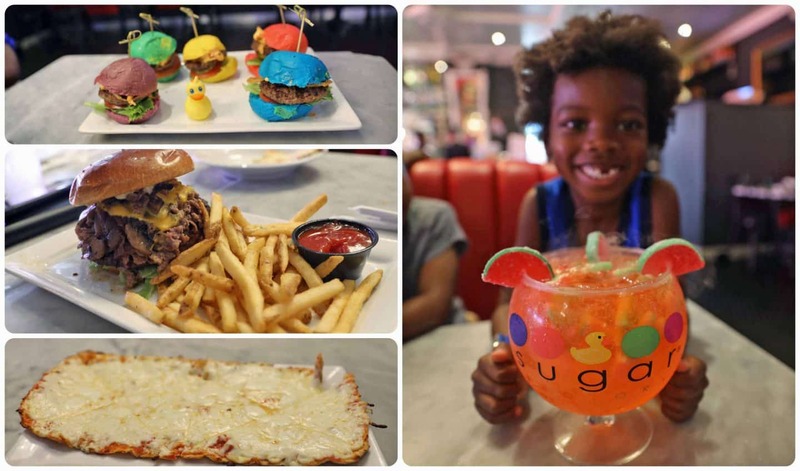 We visited the Sugar Factor in Vegas and loved the deserts and drinks they had so we were excited to try it our in Orlando. 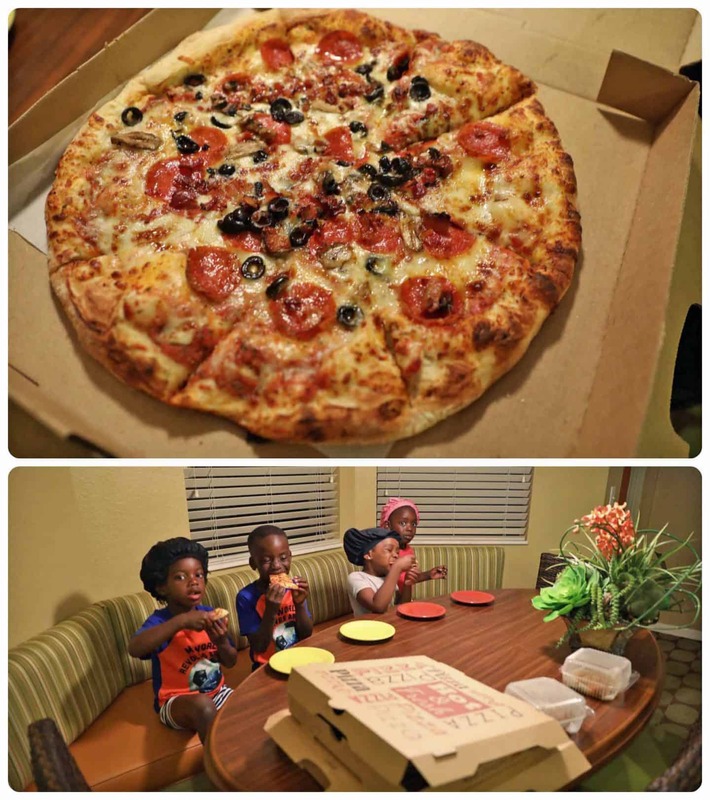 We ordered pizza from the resort pizza place. Honestly, I didn’t fancy it, but since we didn’t want to go out and eat after a long day exploring it was convenient. 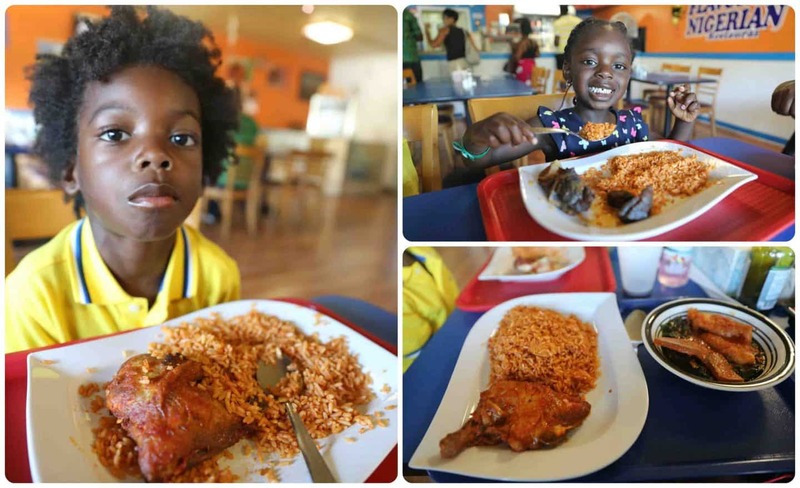 The kids eat African food 99.9% of the time, so we try to find an African restaurant when we travel. We found a Nigerian restaurant and had lunch there. The wait time for our meal was so long the kids almost ate me while waiting. The kids enjoyed the rice, but I didn’t’ fancy anything they had. The night we stayed there, we had dinner at the resort and to my surprise the food was really good. Dinner actually was included with our Groupon booking. The kids were able to play with Legos while waiting for dinner. Loved our dinner experience here. 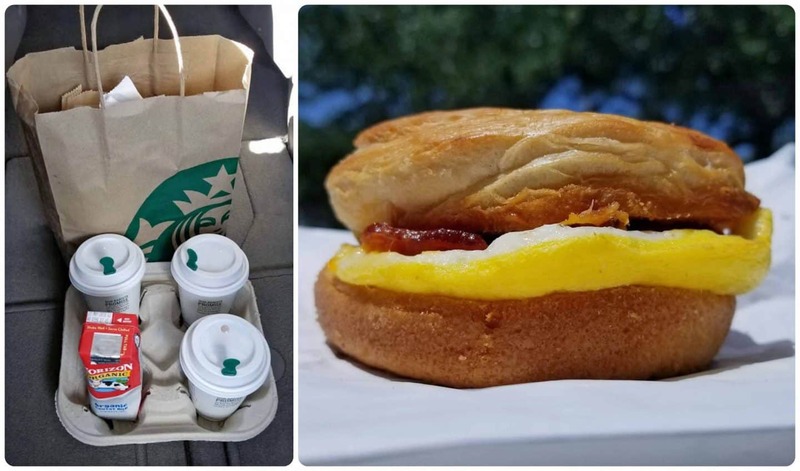 Breakfast was also included in our booking but we didn’t like it, so we went to Starbucks instead. Check Groupon prior to your trip to see what you can find. There were lots of restaurants, and hotels and more on Groupon. Make sure to sign up for Ebates, as they offer 6% and sometimes more cashback. It is possible to visit Orlando and not visit any theme parks as there are so many other things to do there. 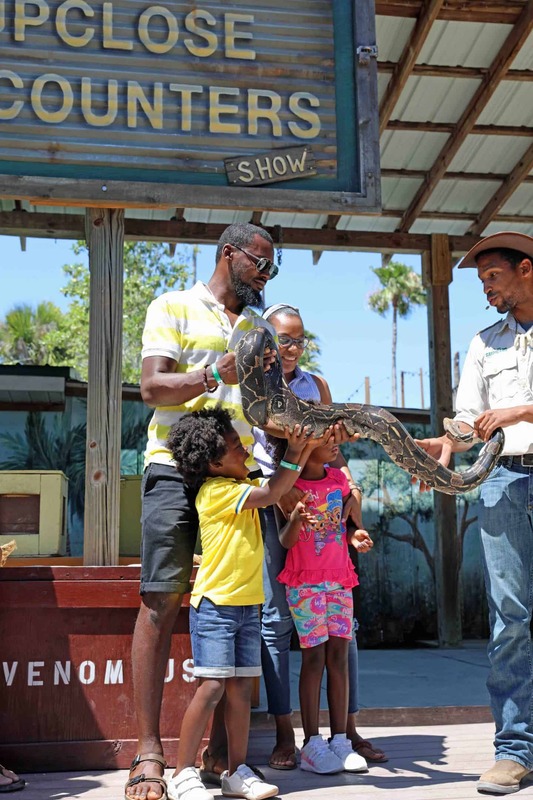 Click HERE for more things to do in Orlando. 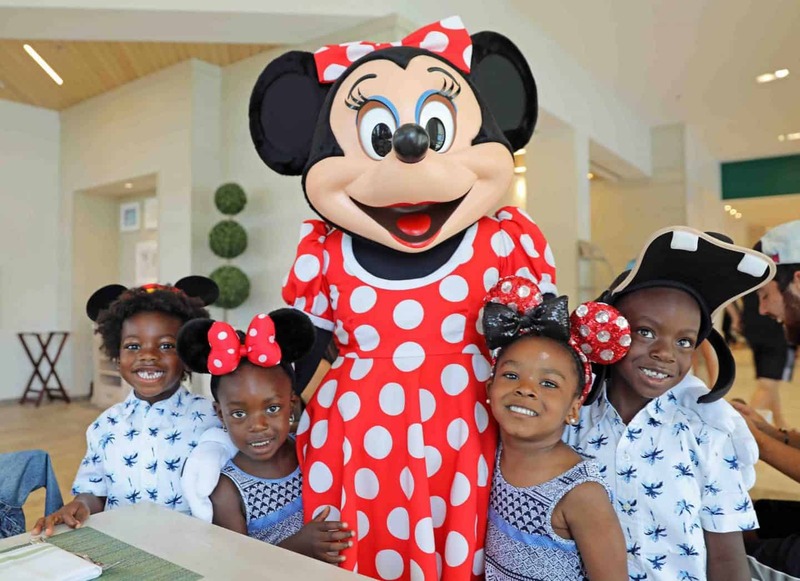 Orlando also has plenty of kid friendly hotels so make sure do a search and pick the right one for your family. If you are looking to find the cheapest way to fly to Orlando, check Skyscanner. Make sure you also download the Skyscanner App to track flight prices and more.